Charlene Gustad passed away Friday, November 30, 2018, at Knute Nelson Care Center in Alexandria at the age of 83. May her memory be blessed. Funeral services will be held on Tuesday, December 4, 2018, at 11:30 AM at Immanuel Lutheran Church, 1090 80th Avenue NW, Montevideo, MN, with Pastor Linda Estling officiating. Burial will be in the church cemetery. Visitation with the family will be held one hour prior to services at the church on Tuesday. Charlene JoElla Gustad was born on October 28, 1935 in Chippewa County, MN to Joseph and Cora (Jerve) Thompson. She was baptized and confirmed at Our Saviors Lutheran Church. She attended school in Montevideo graduating in 1953. She worked two years for the Rural Electric Association as a bookkeeper. On November 12, 1955 she was united in marriage to Russell Gustad at Our Saviors Lutheran Church in Montevideo. They lived and farmed in rural Montevideo until their retirement in the late 1980’s. They enjoyed their lake home near Alexandria during retirement years, making it their permanent home from 1994 to 2000. Charlene most recently enjoyed life at Windmill Ponds Assisted Living. 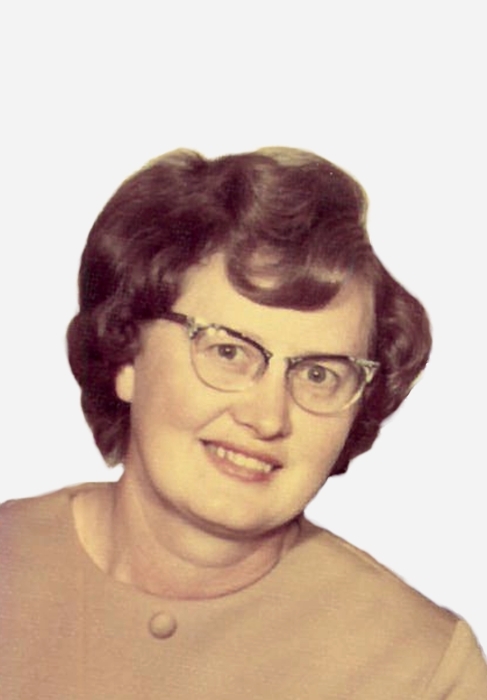 During her lifetime, Charlene enjoyed baking, needlework, visiting, and her grandchildren. She was a long-time member of Immanuel Lutheran Church near Watson, MN. She is survived by her children: Kimberly Walsh and her husband David of Alexandria, MN and Thomas Gustad and his wife Carol of Fargo, ND; three grandchildren: Matthew Walsh (Becky) of Alexandria, MN, Heidi Gustad (Ed Corcoran) of Chicago, IL and Adam Gustad (Carly) of Rosemount, MN; great grandchildren: Miles, Mason and Morgan Walsh; as well as by numerous brothers and sisters in-law nieces, nephew and cousins. She was preceded in death by her husband, Russell Gustad; granddaughter, Courtney Walsh; parents, Joseph and Cora Thompson; and brother Russell Thompson. The family suggests memorials go to St. Cloud’s Gorecki Guest House (CCHF/GGH), a welcome place of respite during Charlene’s hospitalization (www.centracare.com/gorecki-guest-house/) or a charity of your choice.